A great lawn can make all the difference in the appearance of your yard and home. Great lawns are the envy of neighbors, the sites of the best barbeques and a soft, comfortable surface for the kids to play on. Plus, beautiful lush grass isn’t just pleasing to the eye; a terrific lawn will actually raise the property value of your home. At Ace Landscape Contractors, we understand that a great lawn is a hard thing to achieve. That’s why we’re here to help you with our excellent turf, sod and grass services. If your lawn is beyond repair we’ll be there to install a lovely new layer of turf grass and restore your yard to its former glory. Ace Landscape Contractors uses a wide array of techniques to insure that you end up with the best looking lawn on the block. Our skilled team of sod and turf installers are experts at laying down new sod or grass. 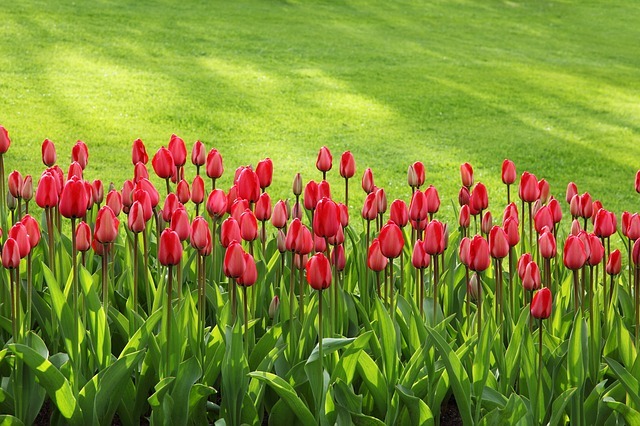 We specialize in tilling and herbicide and can even lay new sod over your existing lawn. Ace Landscape Contractors uses only the finest quality sod from specialty grass farmers. Our high quality turf is a mixture of Kentucky bluegrass or fescue and we use only the finest top soils, to insure that your new lawn is rich and healthy. Once the sod has been laid Ace Landscape Contractors will take all precautions to insure that your new lawn stays perfect. We’ll fertilize and arrange watering to assure a strong growth start and if necessary apply lime and grub killer. For a new and beautiful lawn call Ace Landscape Contractors today.